Margaret’s family had been living in Collie, in the south west of Western Australia, but when jobs were hard to find after the war, her father went to work at Wittenoom. The family soon joined him and, like so many Wittenoom settlers, Margaret fell in love with the place. Asbestos was everywhere and one by one she has seen her siblings fall victim to asbestos-related diseases. She herself was diagnosed with mesothelioma at the age of 69 in 2007 and passed away a year later. The family accepted the rather basic conditions as what was to be expected in a developing mining town, but no one ever told them the dust that surrounded them was dangerous and deadly. Margaret Page’s family arrived in Wittenoom in 1948 from Collie, but nothing prepared them for what they would find there. The town was just being built and the standard of housing was more basic than anything they had experienced before. When Margaret Page arrived in Wittenoom, the town was so new that it didn’t yet have a school. So the children had to ride out to the minesite where they had their lessons together in a single room. Asbestos dust was an accepted part of every playtime activity. 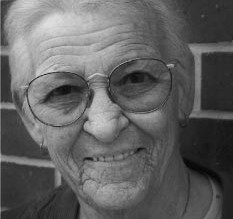 In November 2007, Margaret Page was diagnosed with mesothelioma, over 50 years after her exposure to asbestos during her childhood at Wittenoom. Although she had seen family members and friends being picked off by asbestos-related diseases over the years she thought that at age 69 she might have been lucky enough to escape it. Then what was thought to be a heart condition turned out to be mesothelioma. Margaret was 16 when she was in in Wittenoom and at the time of this interview, was 70years old - an indication of how long can it can take before being diagnosed. Margaret lost four out of six siblings who were in Wittenoom, including one brother, who was only there briefly while on leave from the army.